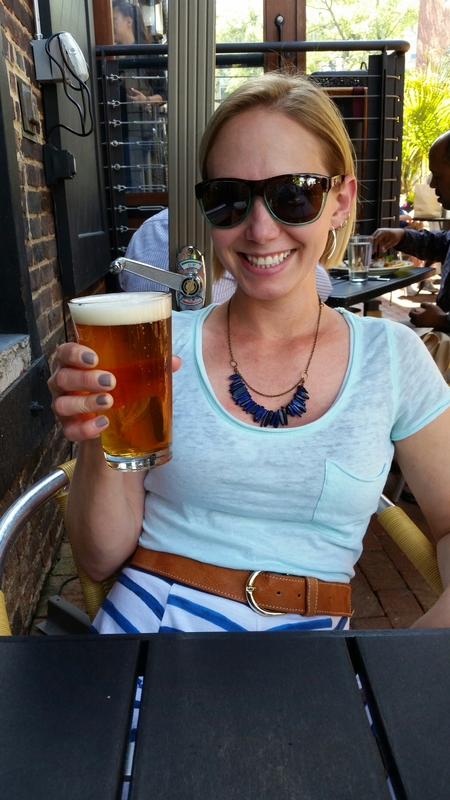 The weather had been so beautiful recently that we have been having a lot of back porch and picnic beers! 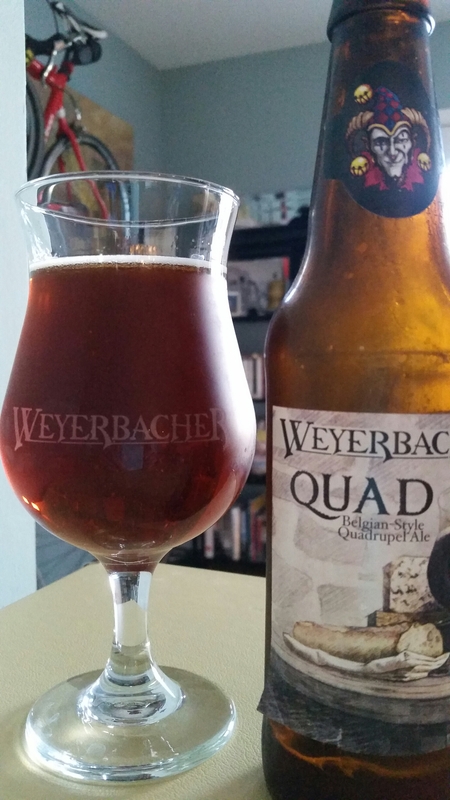 The other day, I had the Weyerbacher Quad, it’s so decadent. And later we made it outside next to the Potamac for a lazy afternoon of reading and sipping. 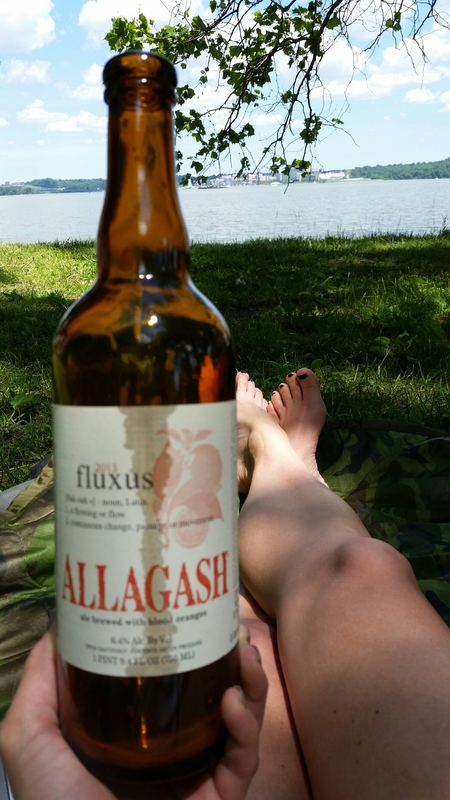 We split the Allagash Fluxus, an American Porter brewed with blood oranges. Slightly unusual, very faint citrus flavor. Quite enjoyable though. We finished of the day with a stroll through Old Town Alexandria and we stopped at Virtue Feed and Grain for a light dinner. I had the Dogfish Head 90 Minute with my dinner. I love the summer! It’s so much easier to pop in somewhere for a cold beer! This entry was posted in Beer and tagged Allagash Fluxus, Dogfish Head 90 Minute, Weyerbacher Quad. Bookmark the permalink.